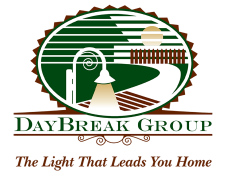 Placed our Rancho Cucamonga home through the DayBreak Group. Masterful job of marketing which mirrored their knowledge of all facets of the real estate market. We had a great team -Brett, Giovanna & Rebecca- which guided us through the entire process with relative ease. They were personable, answered all our questions and anticipated many of the issues that arise with any real estate sales; however, they did so with honesty, integrity and utmost responsibility always and in all ways. They went above and beyond in regards to both selling our home in a timely fashion and finding our new home that was perfect for our growing family. They also demonstrated character and integrity during the entire selling/buying process as well as an excellent working knowledge of the real estate market. We knew Brett would be the right choice to list and sell our home. I wish there was an option for more stars.. Brett and Giovanna exceeded our expectations . I am forever grateful for everything that they did in helping us move on to the next chapter of our lives.. THANK YOU BRETT AND GIOVANNA AND YOUR ENTIRE TEAM !!!!!! !